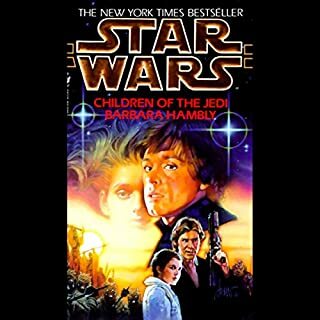 At the same time, Leia is on a life-and-death mission of her own, a race against Imperial agents hoping to destroy a third Jedi child - Leia and Han's baby Anakin, hidden on the planet Anoth. 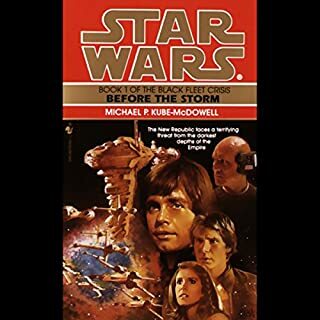 Meanwhile, Luke's former protégé, Kyp Durron, has pirated the deadly Sun Crusher on an apocalyptic mission of mass destruction, convinced he is fighting for a just cause. Hunting down the rogue warrior, Han must persuade Kyp to renounce his dark crusade and regain his lost honor. To do it, Kyp must take the Sun Crusher on a suicide mission against the awesome Death Star prototype: a battle Han knows they may be unable to win...even with Luke Skywalker at their side! 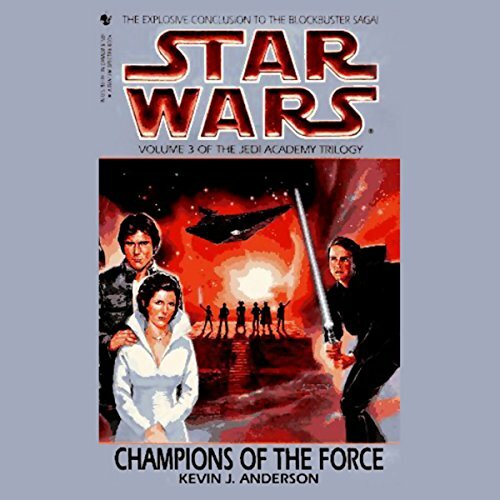 What did you like best about Star Wars: The Jedi Academy Trilogy, Volume 3: Champions of the Force? What did you like least? Really shows the growth of Luke and his abilities in the force. Everything. He doesn't know how to pronounce words that any Star Wars fan would be able to pick out right away, and every character sounds nothing like you would imagine or remember them sounding like. Mark Thompson needs to narrate all of the books that Anthony Heald has narrated. The story is ok, the abridged version jumps around a bit. The unabridged version might be better. The narrator is mediocre. He does not pronounce names correctly. At times he speaks almost too fast to understand him, other times he's on the verge of slurring his words. Some dialog is said with the wrong personality and character which comes across as odd. The overall quality of the narration is marginal. Getting past the above mentioned issues, the book is understandable and is easy to follow. I think that could be the problem...too much editing. I am still suffering from this one. 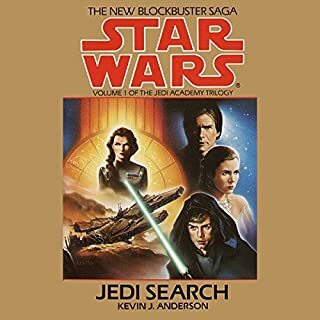 In all honesty, I was so bored by this trilogy that I am considering giving up Star Wars novels altogether. I went ahead and listened to the whole trilogy hoping that it would get better. It did the opposite. This last book was less than brilliant and I really struggled just to get through the whole thing.First off let me say that my feelings are not clouded by the narrator, who by the way, was awful, awful, awful. 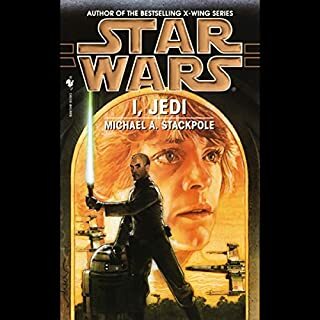 As someone else said here, he came across as someone who had never heard of Star Wars before reading this trilogy, but even worse, he paused in the middle of sentences as if not sure where he was going. He also had terrible mispronunciations of common Star Wars names and places, all of which I could live with if the story is good. This was not. My main trouble in reviewing this story line is that I can’t tell if it was a drudgery to listen to because it was an abridgement, or if it was just bad writing. The fact that the author used the word “sour” about 30 times throughout this trilogy to describe, well just about everyone’s facial expression at some point or another, simply grated on my nerves. I’m not a writer, but I do believe that a creative writing instructor would have asked Kevin J. Anderson to try to come up with at least one alternative to this. The characters personalities seem off too, as in Han Solo pouting like a child, or Luke Skywalker acting like a scared teenage boy. This made the story seem foreign, and actually disappointed me in the characters. But my main complaint is that there were times when I had to ask myself what was going on, or how did that character get to that position in the story. I felt that I had to imagine what must have taken place in order for that character to take a particular action. Very frustrating. Unfortunately, I’m not impressed by Mr. Anderson’s work here, and really can’t see why he gets all the accolades that he does. Again, perhaps I’m not being fair, since this was an abridgement. I’m returning all three, and IF they ever publish this as unabridged and cast Marc Thompson as narrator, I might consider giving it another try. 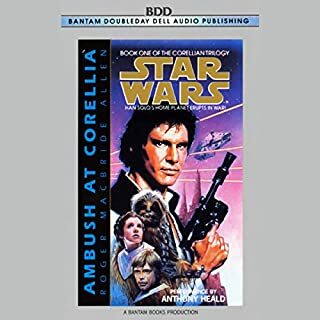 This trilogy was the first star wars series of novels I ever listened to in audiobook format, and consequently the one that gave me such an affection for Anthony Heald's work, I only wished he would have continued on and performed the unabridged versions as well. 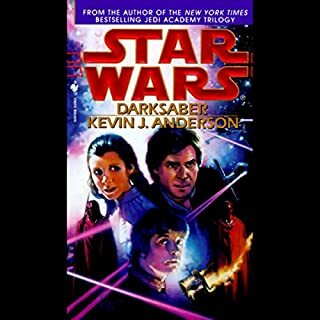 Maybe it’s that Timothy Zahn’s Thrawn series read by Marc Thompson is too good? I am certain Anthony Heald is very talented for certain genres - and I really mean this. But not Star Wars. Jane Austen? Shakespeare? Sure. But it’s almost unbearable to hear his arrhythmic pacing and perplexing dialect choices for Han, Wedge, Luke, Corran, Lando... the only ones he hits well are the children. Heald also lacks diversity when voicing characters - he simply doesn’t have the rich, lower frequency tones in his arsenal. Next to Marc Thompson, he’s practically pre-pubescent. Unfortunately, it may have made the story less appealing. That, and the abridgment. It’s too lean - too much context is missing. Distracting sound effects ruined this for me. To much sound effects not enough book. Save yourself the credit and buy the kindle book. Story is much better than the crap that Disney is putting out. However the narration is awful. He doesn't know how to pronounce many common Star Wars words.... a little homework??? The third volume doesn't particularly stand out compared to the other two. It has same issues as the rest of the series. Abridged with gaps in the story. Read way too fast for comfort. great story but did not like the mispronounced names and planets. other than that it was great content. author did great but the reader needs to watch the movies or Google the way to say names. ie cor-is-cant instead of saying cor-is-saunt. Very predictable trilogy, should have been 1 book not 3. a few important place names constantly pronounced wrong, otherwise clear.